At Capitol Shine, we receive a variety of vehicles with different stains, odors and more. One of the more common odors our customers experience is that of cigarette smoke or pets, especially in a recently purchased used car. Air fresheners and fragrances can cover up the smell, but they are only temporary solutions. One of the main factors that determines whether or not the odor can be removed is how long it has been in the vehicle. The longer the smell has been there, the better chance it has of becoming more ingrained into the upholstery and mats. 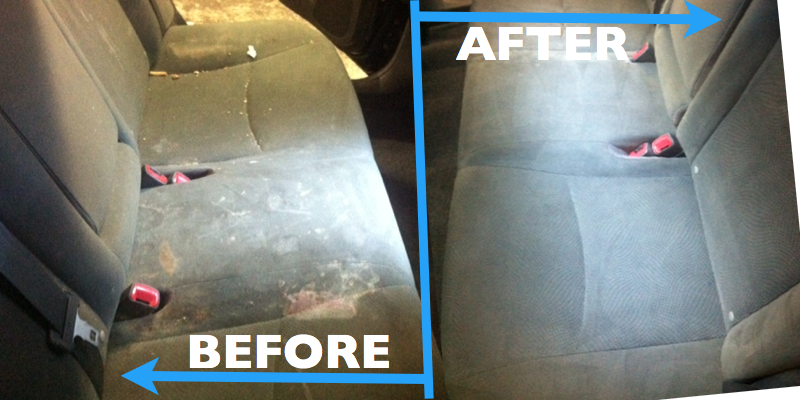 Many times, strong odors can sometimes still exist after the car has been detailed. If it’s still present after the first interior shampoo, we can do another shampoo with odor decontamination. We can also clean the ventilation filter where odors tend to stick around. There are many crevices and areas where odors can linger, and Capitol Shine knows exactly where to look. The combination of these methods can many times eliminate the odor once and for all. To schedule your interior shampoo or ventilation decontamination, head over to our scheduling page to make an appointment.